If it’s happening. It’s happening in Duluth. Duluth is a micro-brewery of what is goin’ on everywhere, where the people fight to have some sort of say … and leave it to the outlaws to come up with something … leave it to the guys in the jails and carrying skateboards, leaning up against the light pole at two in the morning, to come up with something. It’s the home of Piker McNuggett, Karel Kopecky, Froztee Pine, Winnie Blood Feather, some Twenty-Three Toivonens, Diamond Griffin and Penny Jones. Up and up and around and over the hill and there it is … the view. Lake Superior. The Big Lake. And there is The Lift Bridge and Morgan Park and New Page paper plant, the bridges to Superior, Wisconsin, the bay, the big boats. Turn right to Canal Park for the tourists, turn left, uphill for those who have already decided to stay. 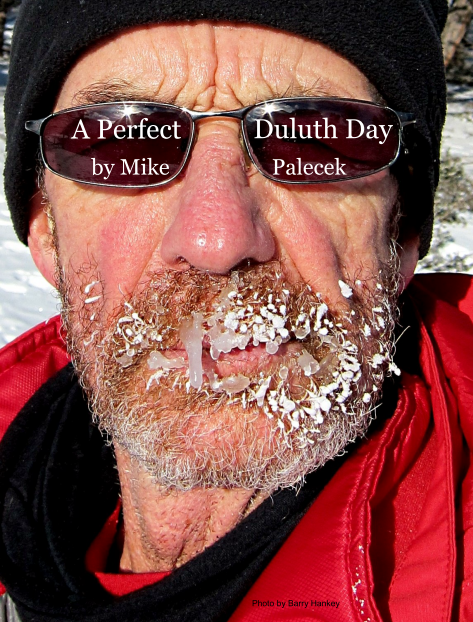 Duluth is big burritos and apricot wheat beer and a parade to celebrate cold weather. It’s the big lake, big woods, big tradition, big, old buildings, like an old sailor headed back to his boat at four in the morning, stumbling, never falling down. It’s the sauna and the secrets of the north woods. It’s schools and it’s adventure and it’s being able to be yourself. It’s the trains, the taconite, guns, tattoos, bowling, brawls, bigfoot and ballgames.